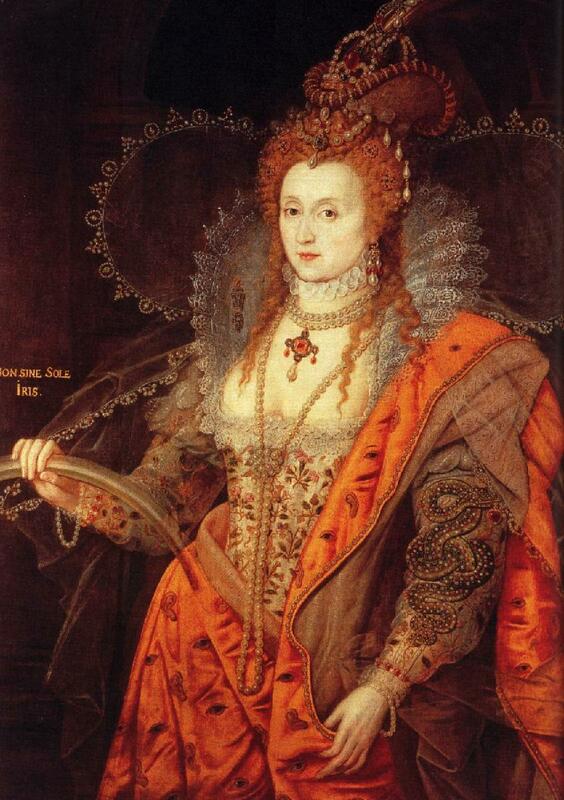 On the 17th of November 1558, Queen Mary I passed away at St. James Palace. She was forty two. Immediately, her coronation ring was taken to Elizabeth I who upon receiving quoted from one of the psalms declaring, quite coincidentally under an oak tree as one of her namesakes supposedly had been under when Edward IV found her, that “this is the Lord’s doing; it is marvelous in our eyes.” Elizabeth was the new queen, she would go on to become the longest reigning monarch of the Tudor dynasty, and with her the reign of her sister would become less and less important and remembered only for the persecutions. But before everyone is quick to judge, and the expense of being preachy, we must remember the times she lived in. Her actions should not –by any means- be condoned, but neither should the acts of her predecessors and successors be justified or overlooked because of their success. In her short reign, Mary managed to institute a new coinage, refounded universities, as well as instituted a curriculum that was inspired by the Humanist ideals she’d grown up with, and took a page from her brother’s book of common prayer where religious books were concerned. However, as more Protestants rose up against her, and condemned her for her religious inclination as well as her decision to marry a foreign (Catholic) Prince, her policies which once promised would respect everyone’s faith (as long they practiced it in “quiet charity”) became the opposite. 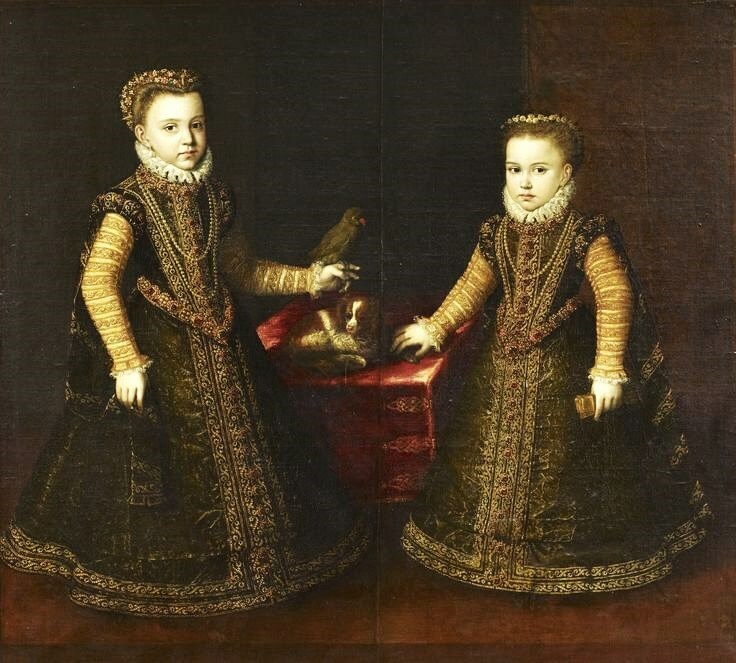 When the Lady Elizabeth had heard of her sister’s failing health by her sister’s servants and Count de Feria, she was very hostile towards them. 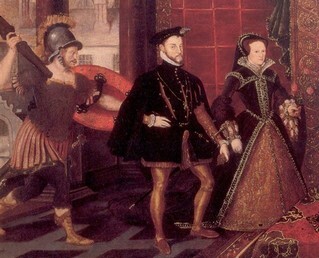 Although she appreciated her sister making a codicil to her will acknowledging that she would respect her father’s will, guaranteeing Elizabeth’s place in history as England’s next Queen; she remarked to the Count that regardless of what her brother-in-law had done for her, she would not be in any way grateful to him since she had done nothing wrong. Many decades after her death, Jane Dormer would recall that meeting, claiming that she had also been sent there to deliver some of Mary’s jewels to her. Whether she did or did not, it is possible that Mary sought to reconcile herself with her sister. After all, when Mary had reclaimed the crown, she did so, stating that it wasn’t only her right but her sister’s as well. Close to death, Mary asked to hear mass before midnight, then at night of the next morning she slipped away. Mary I and Reginald Pole tried something similar her maternal grandmother had done in Castile which was root out corruption in the Church, this as we can imagine probably wasn’t very popular with some clerics. But the pope’s discontent largely has to do with England’s religious landscape. England would never be a Catholic kingdom. 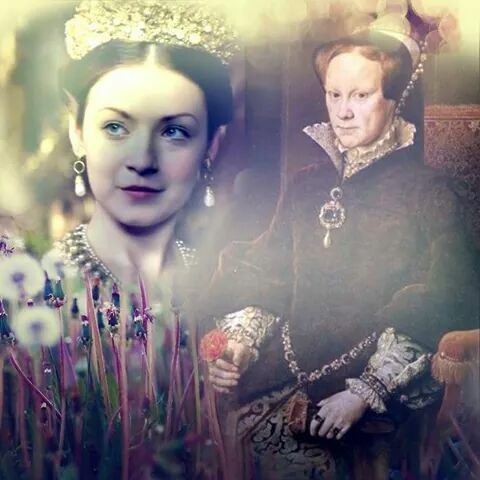 Almost a decade later when their cousin, Margaret Douglas, conspired to have her eldest son married to the Queen of Scots, Elizabeth I’s men spread rumors that she tried to have Mary alter their father’s will so she would be name her heir in place of Elizabeth. In another effort to further slander her name, she was also accused as being the main culprit behind the sister’s rivalry. Oh Queen of virtues pure! Oh constant Marie! This however was altered, as ordered by Elizabeth, to include the new Tudor Queen and create a starch contrast between the sisters, where Mary is praised but so is Elizabeth who it is implied will be a greater monarch than her predecessor. This wasn’t the only thing that was changed. John White, Bishop of Winchester delivered the funeral sermon praising Mary’s virtues, saying that “she was a king’s daughter, she was a King’s sister, she was King’s wife. 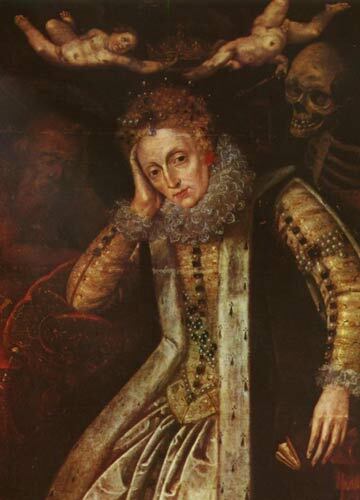 She was a Queen and by the same title a King also” concluding with wishing Elizabeth a prosperous reign “in peace and tranquility if it be God’s will.” That last sentence sealed his fate and he was placed under house arrest. Elizabeth I’s successor went a step further and ordered a great effigy for the Tudor Queen, and also ordered that two sisters be put together. 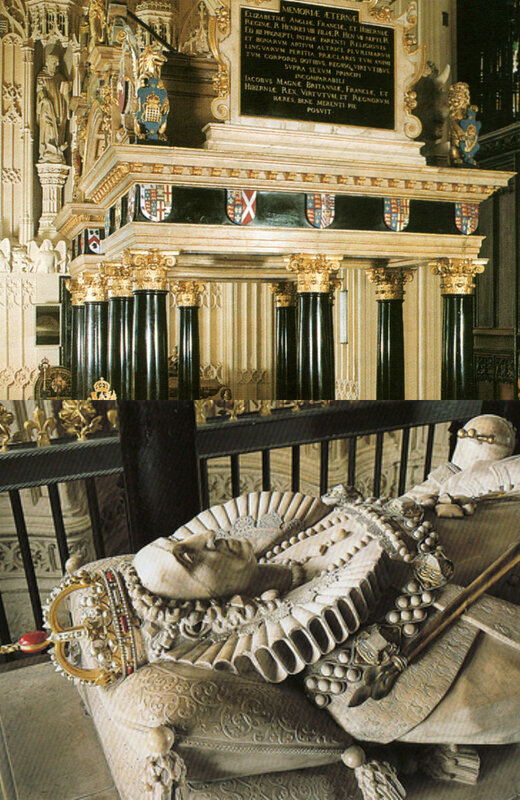 Mary I’s tomb was once marked, and although it still is, only one of the two sisters is remembered in this great monument and that is Elizabeth. Perhaps it is the romantic in all of us that wish that these two troubled sisters found peace in the afterlife, but given their loss and struggle, especially Mary’s whose reign is still obscured and seen through one lens, it is impossible that they ever will. History is written by the victors, they say and that couldn’t be truer. Mary’s achievement which were continued (albeit some of these improved) by her sister, are nearly forgotten. On this day in Tudor History by Claire Ridgway. 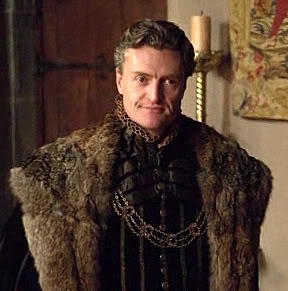 Anthony Brophy in the role of the Savoyard, Imperial Ambassador, Eustace Chapuys in “The Tudors”. On 21 January 1556, Eustace Chapuys died at Louvain. Leaving no immediate heirs (his illegitimate son died in 1549) he left everything to his nieces and nephews. Before he died, he bought many properties in his home-town, Annency, which he supervised for the construction of new colleges and a grammar school for the under-privilege boys. He also constructed another college in Louvain (that was also aimed towards the under-privilege youth of that town). Although the Savoyard was no longer the Imperial Ambassador, he still counseled the Emperor and his successor (Van der Defelt) in important matters of state, and still saw to Mary’s welfare. 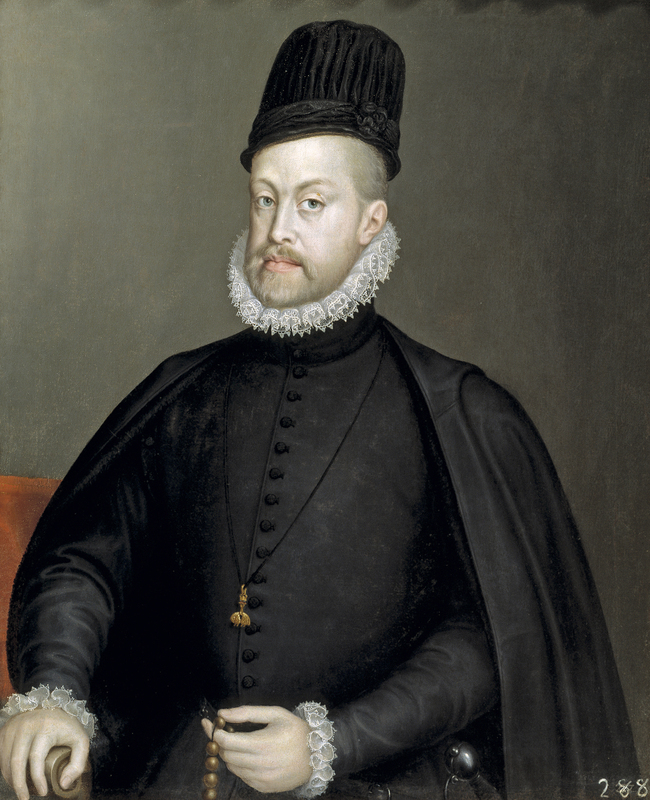 In 1547, after the death of King Henry, he counseled them on how to approach the new Protectorate (which had been established for the young King, under the leadership of Edward Seymour) with the intended betrothal between the Lady Mary and Dom Luis of Portugal. Although this betrothal never came to be, Eustace was its ardent defender and he often gave Defelt advice on other matters. In fiction as in history, he has been miscast as a bigot, a product of a misogynist era that produced some of the infamous fanatics from that era. But as attractive as this view is, it is very erroneous. The era was misogynist, but Eustace Chapuys was no fanatic. He often criticized the church and many of his colleagues for their blatant blindness towards their fault. Although he swore to serve the Emperor’s interests, it soon became clear that his affection towards Katherine and her daughter interfered with his master’s interests. In the late 1520s when Katherine was becoming more desperate to prevent an annulment; she and Chapuys agreed to blame the Pope for his slow action. She wrote an angry letter to the Pope in which she blamed him for her current situation, and added that if he did not threaten Henry with excommunication or declared in her favor, then Henry would do the unthinkable. 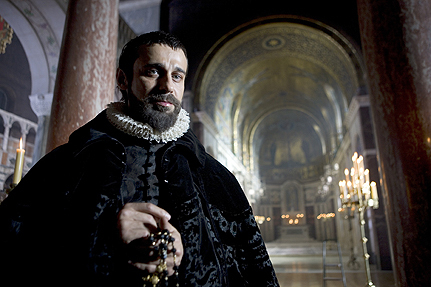 Chapuys himself wrote to the Emperor as well, telling him that His Holiness was proving very ineffectual. 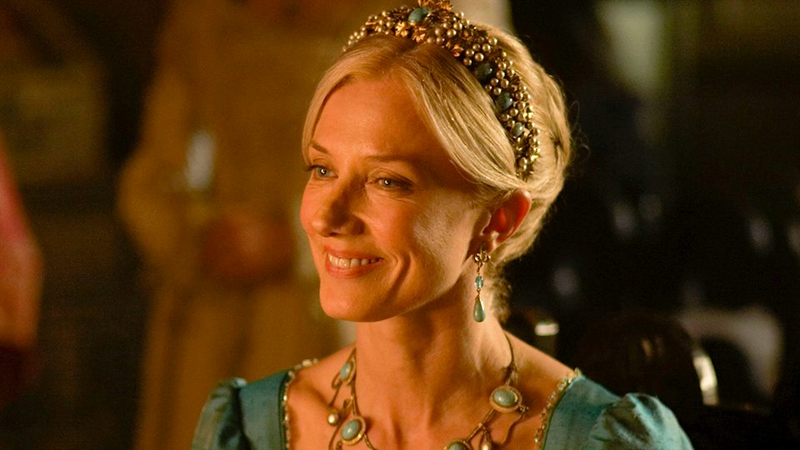 Although he came to hate Anne in the end, he admired her, and lamented her death. When he heard about her arrest –and the arrest of her alleged lovers- he scoffed at the charges and wrote that she, and all the men who died before her, were innocent. He was also very fair to most of his following wives. On Katherine Howard, he emphasized on her charity, and her various petitions to the King, for mercy for Wallop, Margaret Pole and her family, and finally for Thomas Wyatt. On Katherine Parr, Henry’s sixth and final consort, he wrote even more favorably, pointing out her generosity, her friendship with the Princess Mary, and, as Mackay notices in her biography of Chapuys, her love for her stepchildren from her previous marriage. She was, without a doubt, the Consort Chapuys approved the most after his first, Katherine of Aragon. Before he left England, she and Mary and her ladies surprised him, and he told her that he was grateful for everything she had done for her, and in one of his dispatches added that there was no woman worthier in England to be Queen. His last conversation with the Lady Mary was brief, and the two could not say much given his agonizing state, and that he was leaving soon. Among his many friends was the alchemist Agrippa, the radical Erasmus. 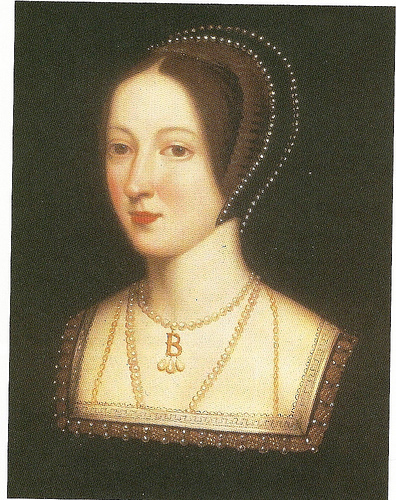 Although his views towards Anne turned hostile after Katherine of Aragon’s death, he wrote favorably of her immediately family. They (Lord Wiltshire and Rochford) were the first ones to receive him on his arrival, and he watched George’s career with interest. His personal views however, have been distorted as have many historical figures during this period nowadays. He was a scholar, Humanist and someone who really came to care for Katherine and Mary, and became Mary’s steadfast supporter and friend. His contributions to his hometown and Louvain should also be noted. After he died, he was buried in the chapel of the college he had built in Louvain, leaving much of his fortune to his family and the schools he built. The chapel no longer exist, but the colleges still do and they continue to educate many young people. Eustace Chapuy’s Death +Bonus Video! by Claire Ridgway. The Anne Boleyn Files.